Description: An original painting by Kalpana Soanes. 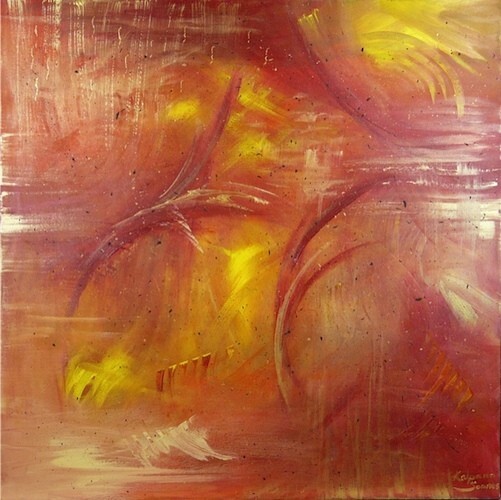 This is a large and elegant 100x100cm artwork in vibrant colours. The sides of the deep edge canvas are finished smartly in black. The painting is ready to hang and there is no need for a frame.